The Organization for Peace and Development and Children of the Earth, Lahore are promoting peace through Peace Education and Interfaith Harmony. Our Chapter Leader, Jahangir, is running Peace Education Programs within 6 schools in Pakistan. He has organized seminars and workshops on Interfaith Harmony and supports efforts made by other organizations to promote a harmonious society. COE Pakistan supports the common interests of all religions, condemning protests against any specific religion or creed. OPD and COE work to promote interfaith harmony and to raise awareness about discriminatory attitudes of people of all faiths and religions, which create problems, confusion, violation and misunderstanding among the people of all faiths living together. To raise awareness about poverty, disease and ignorance among the poorest families, indigenous groups and marginalized communities. To raise awareness regarding peace and Interfaith harmony among the people youth women and marginalized communities. To establish non-formal, formal education, and vocational centers and information technology institutions among the poorest families, indigenous groups and marginalized communities. To provide mother and child health care facility among the poorest families 'indigenous groups and marginalized communities. To organized woman groups for empowerment and enhancement of women in marginalized and slum areas. To provide information and trainings bout drug abuse among the students, youth and parents. To raise awareness bout HIV/AIDS and Reproductive health. OPD observed the International day of peace with students and teachers of the Renaissance Education Foundation School. The activity started with a peace walk which was dedicated to the victims of the flood. 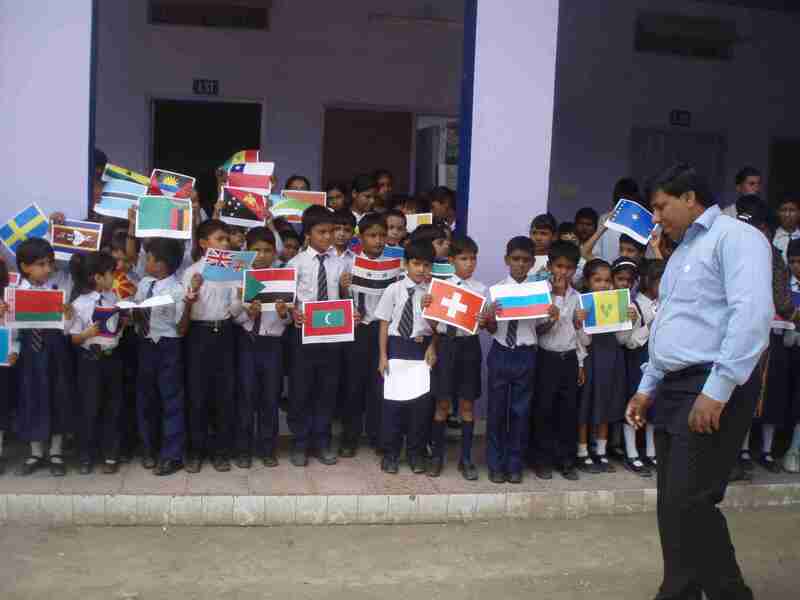 During the peace walk, students waved the flags of all countries praying in silence for the flood victims as well as for all those in the world who are suffering due to natural catastrophes and other problems. Jahangir Piara shared his views with the students and Shakeel Earnest, the Youth Coordinator read the message of the UN secretary General Ban Ki Moon. At the end of the event origami dolls with the words " may peace prevail on earth" in the urdu language were distributed among the students. Organization for Peace and Development is has a great concern and interest towards formal and technical (skill) education to orphan and needy children. We believe that education is the basic right of every human being and without education we can not bring a change we wish for. Therefore, we want to support the orphan and needy children to get education and become a useful and productive citizen of the world. We would like to support them financially for books & stationary, uniform, shoes, fee, and food if necessary. We will also take care for their health and will have proper health checkup twice a year. We also would like to establish Skill Centre for the boys and girls where they may have an opportunity to become self-reliant. Centre will be fully equipped with the training materials. This will empower the young people to earn and lead prosperous life. We also wish to have a computer centre where youth may have an opportunity to empower themselves with IT skills. This centre can be a source of economic sustainability of the chapter; where as the orphan and needy children/youth will be entertained according to their conditions. The education awareness building program will be carried out throughout the year by organizing and arranging meeting and seminars with the community and youth of the target areas. This activity will help to assess the interest and need of the community and youth of the target areas.